Sue and David explored Retford Park and it's wonderful gardens with the Twentieth Century Heritage Society and enjoyed a walk led by Mr Roy Lumby. Mr James Fairfax AC had cared for this property and it's gardens for over 50 years and it showcases multiple garden types, pool and pavillion, sculptures and even some emus in the background. 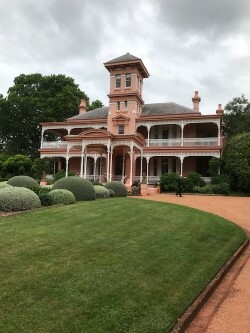 Mr Fairfax has gifted his home to the National Trust of Australia for it's preservation and for the enjoyment and benefit of future generations.